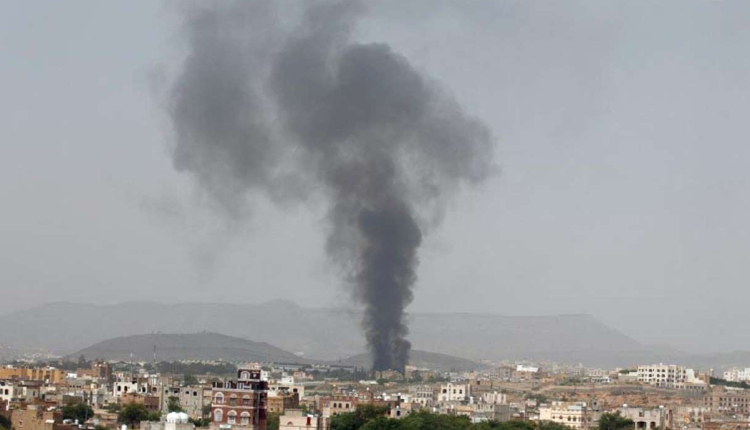 A Saudi-led coalition launched several air strikes on Yemen’s Houthi-held capital Sanaa overnight, stoking tensions among warring parties as the United Nations struggles to implement a peace deal. Saudi-owned Al Arabiya television said coalition warplanes attacked seven military targets, including al-Dulaimi Air Base, a drones storage site and military training camps. Houthi-run al-Masirah TV said on Sunday that the Western-backed coalition had conducted 24 air strikes on Sanaa since Saturday evening, including four on the air base. It said non-military targets were also hit, including a plastics factory where al-Masirah said a large fire broke out. Medical workers and residents told Reuters at least two civilians were killed, and others injured, in the raids which damaged homes. The escalation in fighting, which follows a deadly Houthi drone attack last week on a Yemeni government military parade, raises doubts about the chances of a second round of U.N.-sponsored talks this month aimed at ending the nearly four-year war. Tens of thousands have died in the war which pits the Iran-aligned Houthi movement against the Saudi-backed Yemeni government of Abd-Rabu Mansour Hadi. He was ousted from power in 2014, and the Sunni Muslim coalition led by Saudi Arabia and the United Arab Emirates intervened in 2015 to try to reinstate him. The United Nations is trying to implement a ceasefire and troop withdrawal agreement in the port city of Hodeidah, the main entry point for most of Yemen’s imports and aid. A deal was reached in U.N.-sponsored talks in Sweden last month to avert a full-scale assault on the port, in the first significant breakthrough in peace efforts in five years.